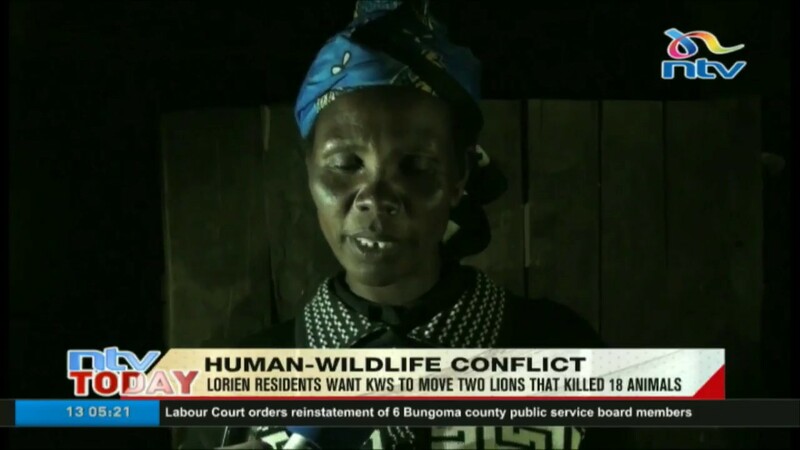 Residents of Lorien in Laikipia County are calling upon The Kenya wildlife Service to move two lions that they say keep leaving a nearby sanctuary and killing their livestock and threatening their security.The lions roam freely in residential homesteads and have so far killed 18 cows. According to the residents, the issue has been raised several times with Kenya Wildlife Service but no action has been taken so far. They say if the wildlife department does not move the two lions, they will be forced to take matters into their own hands. They also want to be compensated for the damages they have incurred. Efforts to reach the owner of the ranch have been futile.